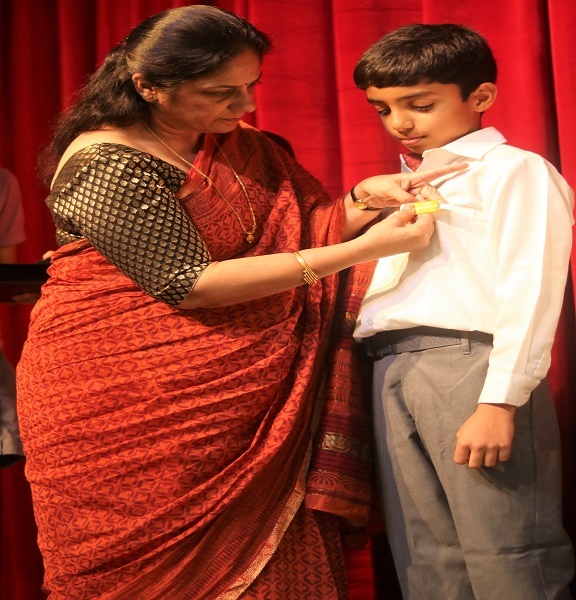 The Primary Years Programme (PYP) allows mentors to encourage and develop each child’s individual interests. The IB PYP in pre-primary classes, acknowledges that little children are continuously constructing their own world of meaning and it provides a framework that gives them support to be active thinkers and inquirers, whilst nurturing their basic skills and needs, providing a sound beginning to the continuum of learning that will go on throughout their primary years. Play in a safe and secure environment allows children to take on challenges courageously, explore new things and learn to solve problems. It is a part of their indoor and outdoor environment and continuously provides them with opportunities to comfortably express themselves and quench their natural instinct of being inquisitive. The Junior School comprises of Grades 1 to 5. The Teaching pedagogy of these years focuses on developing the intellectual capabilities of learners to the fullest; it endeavours to cultivate an aptitude for reasoning and exploration. 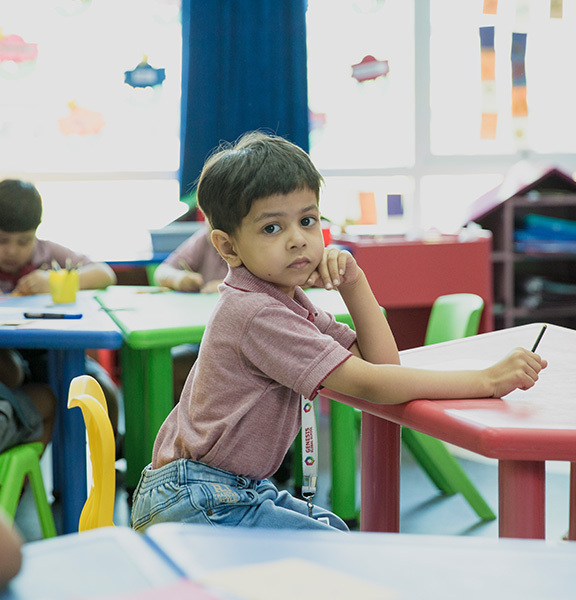 Enquiry is inherent to the IB Primary Years Programme and learning in a trans-disciplinary manner enhances the scope for it. No subject is taught standalone; they are all integrated with each other. Further, the focus moves from a content driven curriculum to a concept driven curriculum, where learners explore not just the What and How of facts but delve deeper into the Why and So What. Scholars are trained to become independent and shoulder the responsibility for their learning. They are equipped with skills to ensure critical thinking, independence in research, self- management, collaborative learning and expression, enabling them to be lifelong learners. To ensure that each scholar gets the requisite attention, we have a low mentor- scholar ratio and our faculty monitors each student’s progress through continuous assessments. These range from pre-knowledge evaluation to formative and summative assessments. The Middle school extends from Grades 6 to 8. One of the most important functions of middle school is enabling scholars to develop and master their areas of interest. Scholars are taught how to harness their talents. The emphasis in these years is on logical and critical thinking. Exploiting the infrastructural advantages, such as libraries, multimedia rooms and laboratories plays a major role in this stage of development. We ensure access to all mediums that scholars may require to complete projects, conduct experiments and study concepts. Feedback and reviews are very important in any learning process and scholars are provided the same, thus enabling them to build on their performance. The focus continues to be on a concept driven curriculum, where learners explore not just the What and How of facts but delve deeper into the Why and So What. Scholars are trained to become independent and shoulder the responsibility for their learning. They are equipped with skills to ensure critical thinking, independence in research, self- management, collaborative learning and expression, enabling them to be lifelong learners. To ensure that each scholar gets the requisite attention, we have a low mentor- scholar ratio and our faculty monitors each student’s progress through continuous assessments. These range from pre-knowledge evaluation to formative and summative assessments. The senior school consists of Grades 9 to 12. These years are further divided into two phases of Grades 9 and 10 and Grades 11 and 12, which is the threshold to undergraduate studies. These four years require scholars to focus on specific areas of specialisation. Learning at this stage evolves into a more competitive effort and mentors recommend useful reading material, as well as supplementary texts. Professional career counselling and advice on university education, through the University Placement Cell (UPC) is an important role played by the school at this stage. Day & After School Programme At Genesis, scholars have an option of being day scholars or an After School day scholars. The After School Programme is designed to offer convenience to both the parents and the children. Scholars have the option to stay back at school till 5:30 pm and be a part of the ASP where they are productively occupied in sports, co-curricular and academic support. The child can play seasonal games or opt for specialised coaching in a particular sport during this time as well. Resident Scholars at Genesis Global School have the option of being 5-day boarders (Mon-Fri), or 7-day boarders (Mon-Sun). 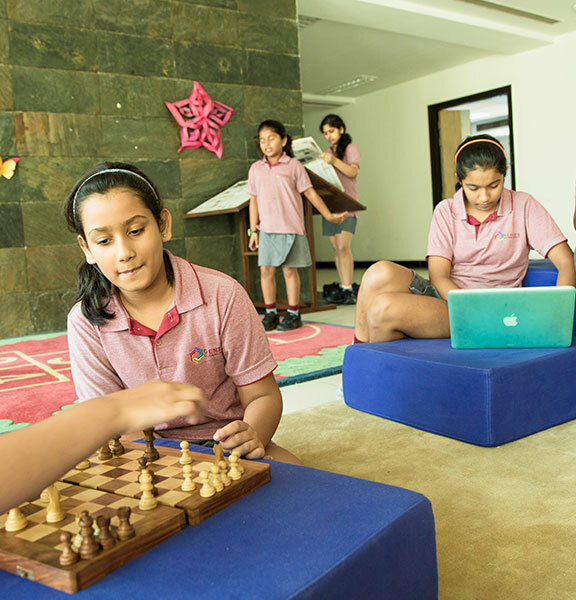 Equipped with modern infrastructure and facilities, the Residences for scholars at Genesis are indeed a home away from home. We offer separate air-conditioned accommodation for boys and girls, where they are given personal attention and care by experienced House Parents. Each scholar has a comfortable and cosy bed, a bedside table, a study table and a cupboard for their personal belongings. These Scholars’ residences are supported by laundry and housekeeping facilities. A lounge and recreational room known as the Common Room in each residence gives scholars an opportunity to play indoor games, watch television, and use the Internet under supervision.